As we get closer and closer to the major gaming event E3, more gaming news gets released on major gaming websites. Just recently the popular magazine "Game Informer" included tons of information about the upcoming Halo title as well as the game's campaign. In the older games, the co-op campaign was the main attraction considering it did not require Xbox Live to play split screen. In an interview with 343 industries, that was believed to be held true. However, hours ago, 343 industries studio head John Holmes stated that the co-op campaign will only be available to Xbox Live users and that split screen will unfortunately not be supported. Guardians will however come with a 14 day trial for players to test it out and see if they like the multiplayer aspect of the game. All of the news isn't bad though. The campaign mode will feature Master Chief and he will be accompanied by the elite blue squad that includes members named Linda, Fred and Kelly. Each character is different if you're in Co-Op or solo. In solo, rather than just running around and shooting enemies, you will now be able to give them commands and create strategic assaults or stealthy plays. In a Co-Op game of 2-4 people, players will take control of Linda, Fred or Kelly, who all have their own special abilities and load outs which allow you to strategically use each character to their ability and utilize everything in your environment. Rather than only being able to play as Master Chief, Halo 5 will also include missions where you are playing as a Office of Naval Intelligence agent named Jameson Locke. He assembles his own team named "Osiris" and is tasked with tracking down Master Chief and the other members of the Blue squad. Now onto the multiplayer aspects. 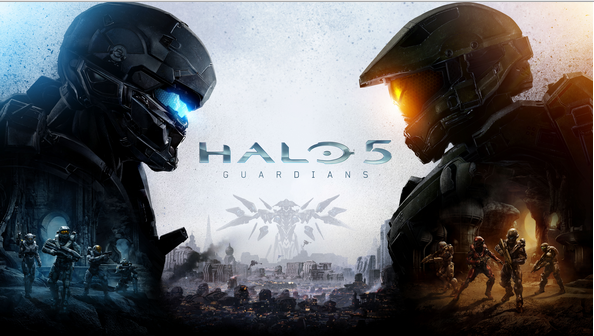 Halo 5 will be released with over 20 multiplayer maps so it never goes stale. In addition to the 20 maps, more than 15 DLC maps will be released before June 2016, all of them being free. Some extra trivia that was included in the article was that because the Master Chief Collection had a botched release and didn't have a beta, they vowed to never release a Halo game again without including a Beta before.